Sharing files from a computer with an iPad over WiFi, is not straight forward as sharing files between computers. Well, if you are interested in sending or transferring files from a computer to an iPad over Wifi then there are several options. Let me speak about some of the options available to you. Heard of Dropbox? I’m pretty sure you did somewhere. Well, if you haven’t then it’s an online service that allows you to upload your files and folders online and access it on any other computer or device with internet anywhere in the world. I started using this service when I was doing my dissertation. It was pretty handy! I could synchronize my files on Dropbox and access it from any computer anytime. Moreover, I needn’t fear of losing the file. So, how can I send/ transfer files from a computer to iPad on Wifi using Dropbox? Download and install Dropbox on your computer. Register an account and select the files or folders you want to upload it online into your account. Now, install DropBox on your iPad and login with your id. Voila! You should be able to access your synchronized files. And, open and work on them. 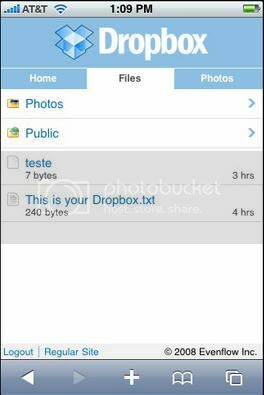 ZumoDrive: ZumoDrive is similar to Dropbox. You get a free storage capacity of 1GB above which you need to pay. You need to first jailbreak your iPad to use WinSCP. Download Redsn0w and the respective firmware to jailbreak your iPad. Go to Cydia and install OpenSSH. Once done, download and install WinSCP on your computer. Go to Settings> WiFi. Click on the blue arrow and make a note of the IP address. Start WinSCP and enter the IP address and password ‘alpine’ or ‘dottie’ without quotes. Leave the rest of the settings untouched and click on Login. You should now be connected with your iPad from your computer. You can browse folder under private/var and copy the files you want to in the desired folder.